Warner Bros. have just dropped the latest Suicide Squad trailer on YouTube and it looks crazy insane. Could Suicide Squad be the film of the year? The trailer looks absolutely mad. There is a lot going on and a lot to get excited about. I think I speak on behalf of most people by saying just how much eye candy Margot Robbie brings to the table as Harley Quinn. I am surprised those shorts are even legal! The only disappointment is that that Tom Hardy couldn’t be in the movie. He was replaced by Jai Courtney (Die Hard, Terminator), but I cannot help but think how much better Hardy would have made this. We will all just have to get over it! Batman will also be making an appearance as the film shares the same DC universe. Don’t forget to check out the trailer for Batman v Superman: Dawn of Justice where we will first see Ben Affleck as Batman. 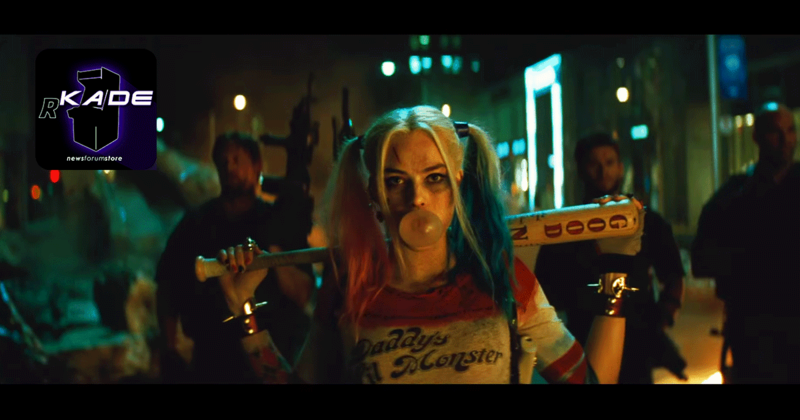 “I should just kill everyone and escape?” Harley Quinn (Margot Robbie). Suicide Squad stars Jared Leto as the Joker, Margot Robbie as Harley Quinn, Will Smith as Deadshot and Ben Affleck as Batman. What film are you looking forward to most in 2016? You can explode with excitement when Suicide Squad hits cinemas on August 5th, 2016. Previous article Darth Vader Returns for Rogue One: A Star Wars Story? Ruby Rose did this before OITNB! Darth Vader Returns for Rogue One: A Star Wars Story?